The Vatican must adopt “effective” cost reduction measures in the wake of the global economic crisis, Pope Benedict XVI’s No. 2 official warned on Dec. 18. Cardinal Tarcisio Bertone, the Vatican’s Secretary of State, told employees of the Holy See’s budget department that, in the face of “continuing inability to increase revenues,” a “gradual, but effective, reduction of costs” was needed to reduce recent budget deficits. The loss was compounded by a marked increase in expenses, which jumped by $37 million (28 million euros), while revenues registered only a slight increase. In recent years, European countries have been forced to adopt drastic austerity measures in the face of a sluggish economic growth and rising debt. The Vatican, too, has been forced to walk down the same path. This year’s nativity scene in St. Peter’s Square, which was unveiled on Christmas Eve, cost around $ 160,000 in total, with only $29,000 paid by the Vatican itself and the rest covered by the Italian region of Basilicata. This is a drastic savings compared to past years. 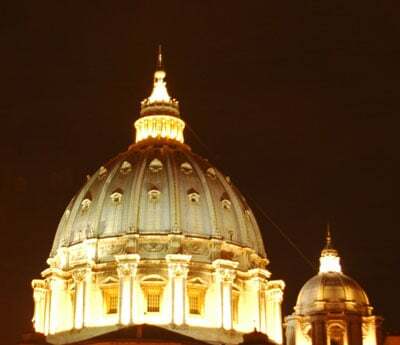 Documents that came to light during the Vatileaks affair showed that, in 2009, the Vatican spent $730,000 for the St. Peter’s creche. The Vatican budget office, known as the Prefecture for the Economic Affairs, has been given vast new powers to oversee and control expenses in all Vatican departments and institutions. The new rules came into force last February and the Prefecture’s head, Italian Cardinal Giuseppe Versaldi, said that “substantial improvements” in the Vatican’s ability to raise money are not foreseeable in the near future. “The only solution is to reduce costs by planning a rationalization and optimization of current resources,” he said.